The Kia Rio has been fully redesigned for 2018, making this the fourth generation Rio to be sold in the United States. The new car grows just a bit, offering more interior room than previous generations, while still maintaining a relatively compact footprint, making it easy to park and maneuver about the city. The interior has been improved as well, with nicer materials and a more upscale feel to go along with the extra room. The exterior proportions make the car look less like an economy car for this generation, particularly on the hatchback; the 5-door version looks mature and upscale in contrast to its relatively moderate base price. 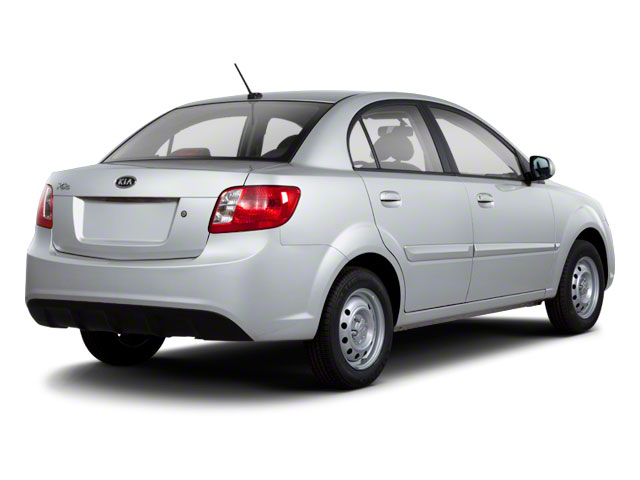 The Kia Rio is powered by a 1.6L direct injection 4-cylinder engine making 130 hp. Power is sent to the front wheels via either a 6-speed manual or a 6-speed automatic. The manual transmission is standard on the base LX trim, while the auto comes standard on all other trim levels. Fuel economy is excellent for a non-hybrid car like this with a claimed combined city and highway mileage of 32 mpg for either transmission, with 37 mpg supposedly attainable on the highway. 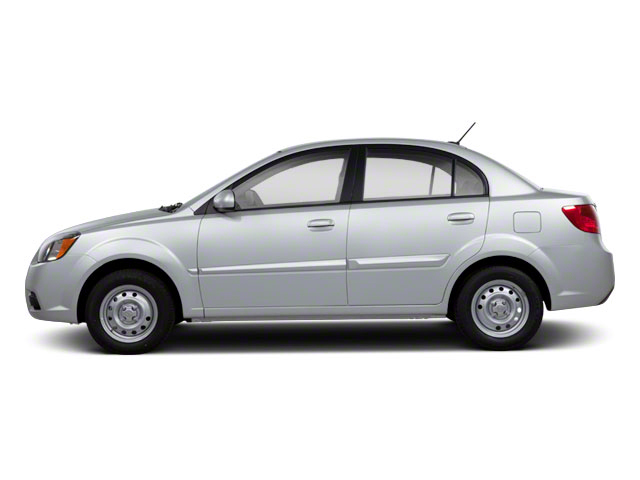 Standard features on subcompacts like the Rio tend to be pretty sparse, but base LX-trimmed Rios come standard with power door locks, air conditioning, a 5-inch touchscreen controlling a stereo with MP3 and SiriusXM capabilities, a USB input jack, steering wheel-mounted audio controls and automatic headlights. Stepping up to the S trim adds items such as heated exterior mirrors, body-colored door handles, a rear camera, Bluetooth and Siri connectivity, a 6-speaker stereo, cruise control, remote keyless entry and a 60/40 split folding rear seat. 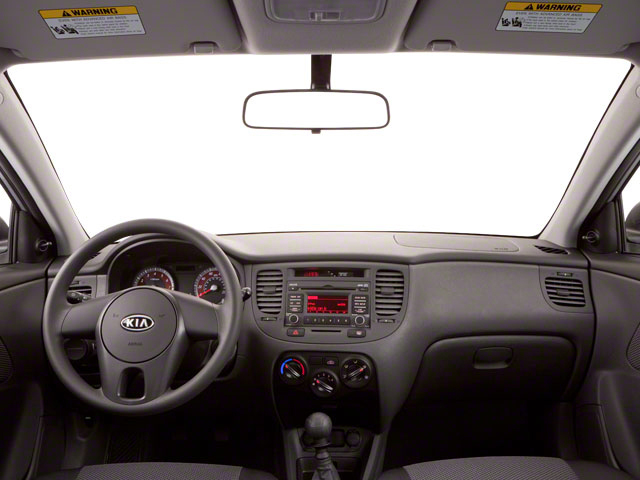 Top of the line EX trim includes a bigger 7-inch touchscreen with Android Auto and Apple CarPlay capabilities along with 15-inch alloy wheels, nicer seat trimming, a leather-wrapped steering wheel and shifter, fog lights, one-touch windows, a forward collision warning system and an autonomous emergency braking system. Partial leather seating with contrasting red trim is optional on the EX. Standard safety features on the Rio include dual front mounted and side mounted airbags, full length side curtain airbags, anti-lock brakes and stability management systems, a hill start system and a tire pressure monitoring system. 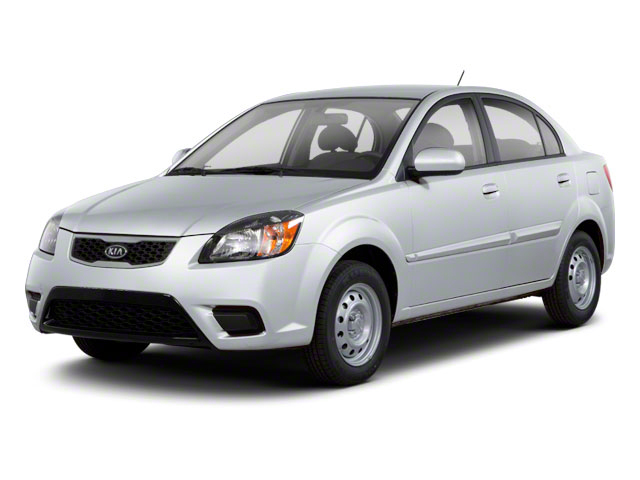 The Rio is Kia's least-expensive entry in their lineup. Prices start at just under $14,000 for the sedan, while the 5-door adds about $300 to that price. Styling for this generation is clean and sophisticated with Kia neatly incorporating its family grill into the car's front fascia. Competitors include other subcompacts such as the Honda Fit, the Ford Fiesta and the Toyota Yaris. While those cars tend to remind buyers that they're dealing with simple, bare-bones transportation, the Rio offers enough comfort, convenience and sophistication to feel a little bit classier, all while undercutting those rivals on price.